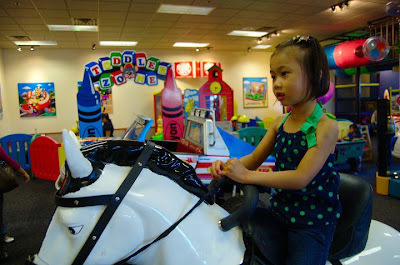 Last week my god daughter Zystyn celebrated her 3rd birthday at Chuck E Cheeses. Gabz had her birthday there for two consecutive years. She just love it, and always remembered it. 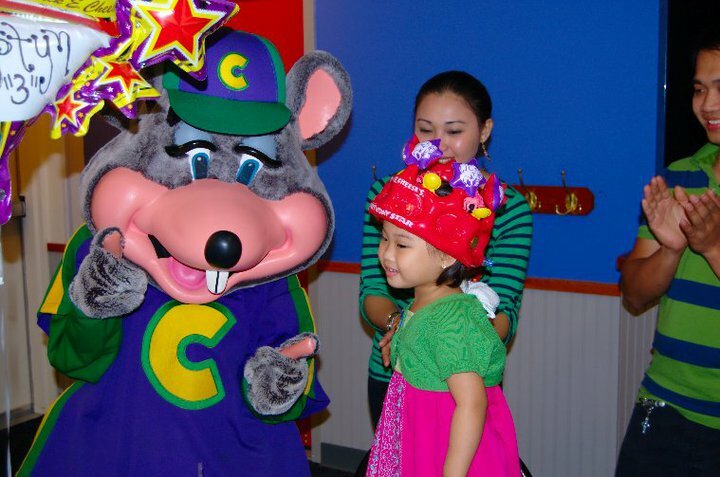 I think Chuck E Cheeses is one of those places that kids wants to celebrate on their birthday. 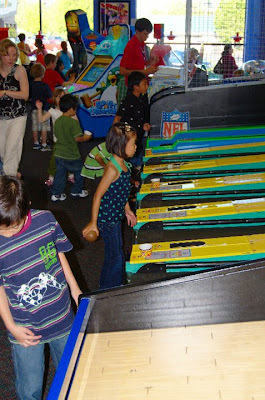 Lot's of games to play around, a small playground, a pizza and most of all there is Chuck E Cheeses who would play and greet you on your birthday. Sounds fun, right? Here is Zystyn, all smile and always posing for the camera and ready to give a hug to Chucky. This is one of Gabz favorite, riding the mechanical horse. My baby playing bowling by herself. Her Dad was quiet mad at me for letting her daughter roamed around by herself. At the end of the day, I think the kids had so much fun. One thing I noticed, they are quiet flexible on the time duration when it is on weekdays. I remember when we had Gabz birthday on Saturday, they were very precise of having the party for two hours. After two hours guests has to move to the play area. But on weekdays, they are quiet lenient on the time. I think that is one thing we need to consider as well for future plans.